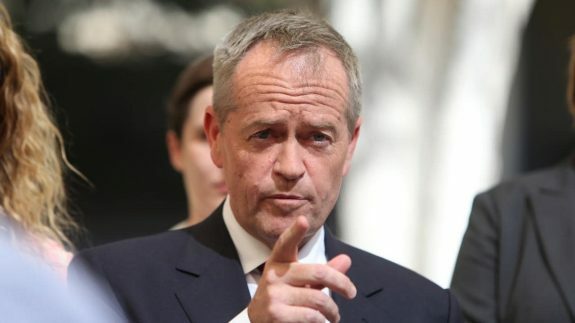 Shorten, although not popular, is a thinker on policy and a leader with 6 hard years under his belt. He affords us the opportunity to make over our democracy. 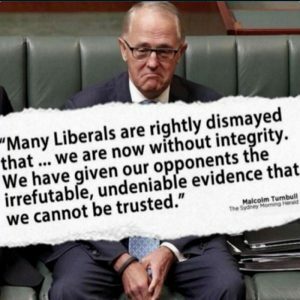 Instil fairness into it and intercede in all the rorting and corruption that has taken place over the past 6 years. 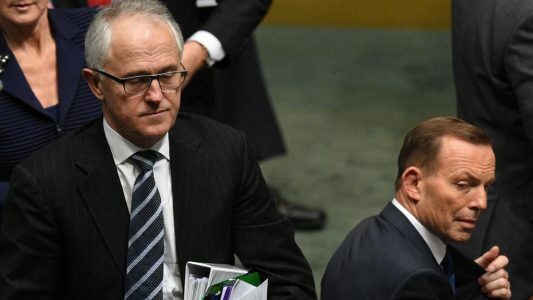 The Abbott, Turnbull and Morisson governments have been a mixture of blind incompetence and outright greed where simply doing the right thing by people became a step too far but advancing the lot of the wealthy and privileged was always a lightweight to lift. Never in the history of this nation have the rich and the privileged been so openly brazen. 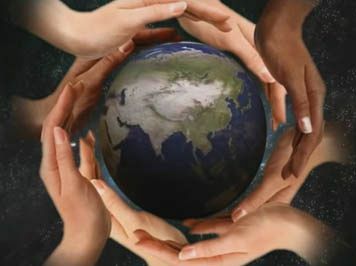 The peoples of all the nations of the world increasingly seem to be having less to say about their own destiny. How I look at the past few years. They have been the catalyst that might wake us from the political malaise that had bogged us down in a quagmire of narcissism. It’s the individual first second and third. Every part of society, when you think about it, has been indoctrinated with a nefarious, me first attitude that has seen the common good almost vanish. 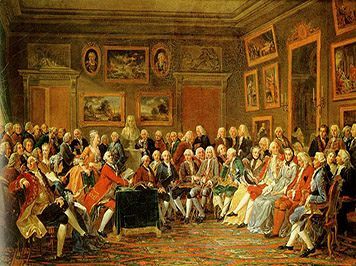 Where as the common good should be at the center of any political philosophy. However, it is more likely to be found on the left than the right. The left of politics is concerned with people who cannot help themselves. The right is concerned with those who can. Lying in the media is wrong at any time however when they do it by deliberate omission it is even more so. 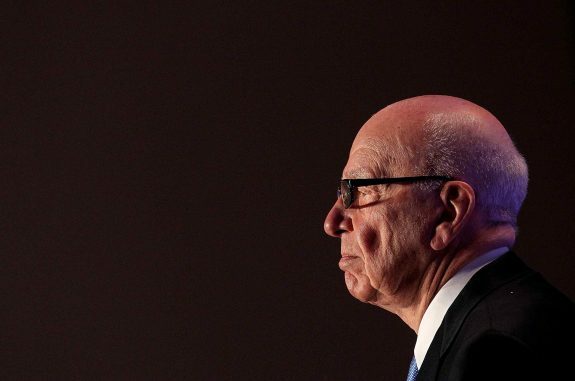 Murdoch’s papers seem to do it with impunity. Other than in the headline I have managed not to use the word “kids”. I tried not to do so because it would insult the adult behaviour shown by them during the Climate Strike. Frankly, I don’t give a flying pig if they stayed away from school to give their protest its full weight. This Government’s performance over its time in office has been like a daily shower of offensiveness raining down on society. Surely management or indeed, lack of it must mean something. All of this just goes to prove how out of touch the LNP Government is when it comes to the mood and expectations of the people they serve. 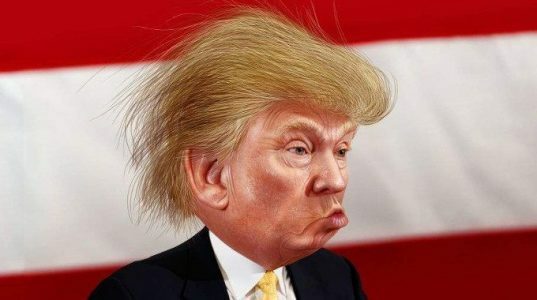 However, it is also most unusual to have gathered together in the one place at the one time such an astonishingly well-educated group who has not a clue on how to govern. All in all it stinks with the stench of privilege. 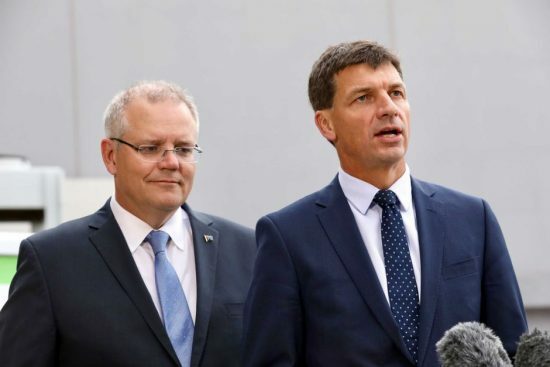 Trying to say State issues were solely responsible for its resounding loss at the Victorian State Election and the Wentworth 19% swing was all Labor’s fault, firmly place the Morrison Government at the forefront of Australia’s worst ever governments. 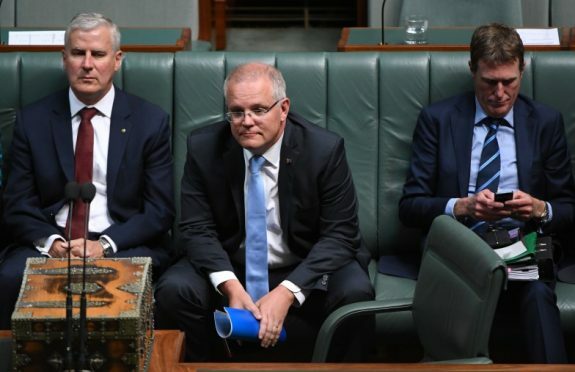 Having lost all ability for any critical self-analysis that would tell them the electorate no longer trusts them, cannot abide the lying, lack of any humane thought, racism, sexism and dismissiveness of equality of opportunity, the Liberal and National parties find themselves hated. 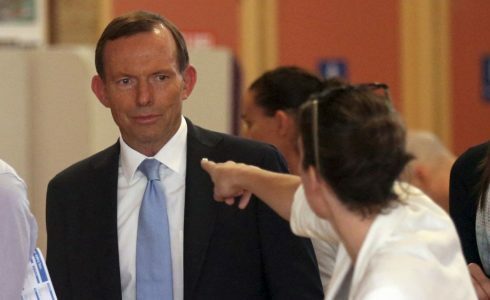 Can you imagine, as a nation, how much more advanced we would be if we had a common purpose over the past few decades instead of the vile negativity Tony Abbott and other like-minded politicians infused us with? The cost of it in economic and societal terms we may never find out. what sort of condition do you want our planet left in. 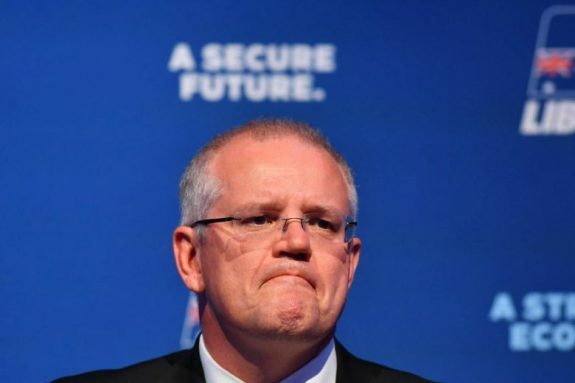 Having said that, it is also possible that Morrison might turn it into an election based on race. I will, however, reserve judgment at this stage. IN ORDER TO get to my point of energy policy and climate change, I need to take you back in time to the years 2010-11 when Tony Abbott was the Coalition Opposition leader. Freedom of Speech — Why do we need to change? If you were to ask the likes of Cory Bernardi if we live in an enlightened society, he would probably answer “yes”. I’m not sure how he would answer if you asked: If we are an enlightened society, why do you think we need to enshrine in law the right to hate each other? Surely you would think that an enlightened progressive free-thinking society would want to eliminate it, not legislate it. If free speech’s only purpose is to denigrate, insult and humiliate, then we need to reappraise its purpose. There are those who say it identifies those perpetrating wrongdoing but, if it creates more evil than good, it’s a strange freedom for a so-called enlightened society to bequeath its citizens. Are we saying that hate is an essential part of the human condition? Is this really what an enlightened society means by free speech? Does it demonstrate our cognitive advancement? Is this what well-educated men and women want as free speech or should we see free speech as being nothing more or nothing less than the right to tell the truth in whatever medium we so choose? One has to wonder why the so-called defenders of free speech feel they are inhibited by what they have now. I don’t. I have never felt constrained in my thoughts or my ability to express them. I’m doing it now. But then I don’t feel a need to go beyond my own moral values of what is decent to illuminate my thoughts. Why is it then that the likes of Abbott, Bolt, Jones, Brandis, Bernardi and others need to go beyond common decency to express them and defend others who cannot express themselves without degenerating into hate speech? The answer has nothing to do with an honourably noble sort of democratic free speech. via Freedom of Speech — Why do we need to change? 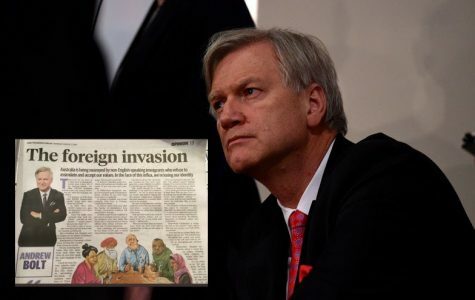 On the same day that Indian-born migrant Akshay Venkatesh was receiving the prestigious Fields Medal in mathematics, the Australian born son of Dutch immigrants, mediocre columnist Andrew Bolt was publishing an article full of racist gobbledygook to titillate those on the extreme-right of Australian society. The piece titled; “The foreign invasion” claimed that a “tidal wave” of migrants was “changing our culture.” In it he pointed out the proportion of Chinese, Cambodian, Indian and Jewish people living in various suburbs. He has, as a consequence of his rather thoughtless, some say racist observations, been referred to the National Press Council. Two things stood out during the by-elections. Firstly the importance they made of the constant flow of polls, and secondly, the “Kill Bill” campaigns. 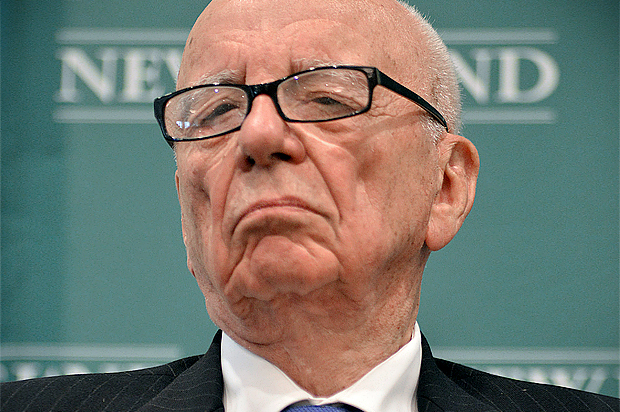 Murdoch news continued to push them as though they were God’s gift to determining the winner – and they didn’t. 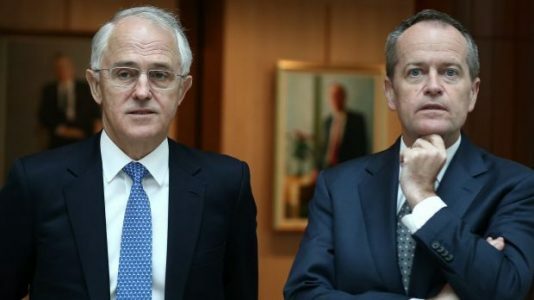 Again, despite having run the same course many times the “Kill Bill” campaign by Newscorp and others, yet again fell flat because Australians don’t like “playing the man.” The naming of Bill Shorten as a liar every day by the PM doesn’t cut with a lot of people, and he would be well advised to stop. The importance of reporting factually what was said, or the truth or otherwise of it, seemed to take second place to whatever controversy could be manufactured. 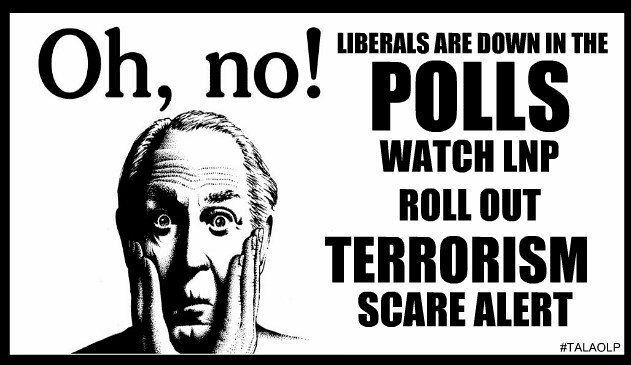 The media do it because they like to think they alone have the power to elect governments, forgetting that it is the public that votes them in or out. Finding the truth and reporting it should be more important than creating a narrative where controversy matters more. But Newscorp has started its pre-election propaganda in earnest. Not even the failure to influence will stop them. Capitalism never fights for fairness or equality of opportunity, only for what it can wring out of those who have not, in order to make richer those who have. Sports people no longer play for the sheer joy of it. In local competitions they demand to be paid for their unexceptional talents. Large companies screw down wages and ask their suppliers to supply for less than a fair price then try to pay as little tax as possible, if any at all. “Segregation,” I thought to myself. we have practiced for as long as immigration has existed and is as natural as life itself. 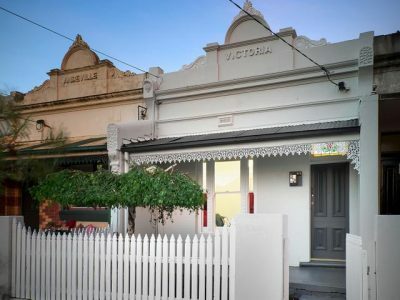 When the Italians came to Melbourne they gathered together in Brunswick, the Greeks in Carlton and the Vietnamese in Springvale and now Box Hill. And so on. Then over time they disintegrated and neatly integrated into general society. I observed the advent of Asian immigration and all the recycled hatred only to see it vanish in the same way the Greek and Italian animosity did. Now we are confronted with yet more odious loathing. This time it is directed at those from the Africa. It doesn’t matter what their country of origin if they are Muslim they will suffer the full thrust of minorities xenophobia. 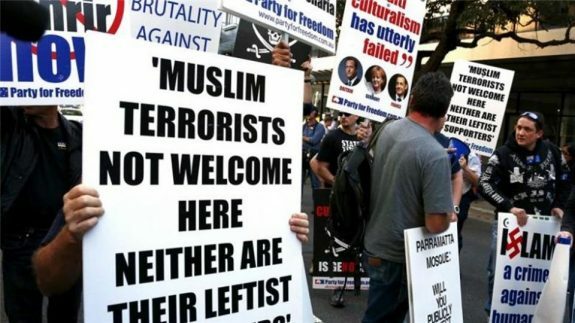 Just as 99 per cent of Muslims want peace so do 99 per cent of Australians. We have a long history of finding fault with things we don’t understand. At various times we have blamed communists, Jews, women, the devil, indigenous people and witches, even God, for all manner of things. I have been privy to the ignorance that history has recorded on these matters and I am angry with the likes of Pauline Hanson, Peter Dutton and our Prime Minister who would seek to deny Australia of others who desire to, not only seek their personal freedom, but also the opportunity to give of themselves to the advancement of this great nation. When I sit on the platform at Flinders street Station and watch the passing parade of ethnicity I can but only admire a country I could never envisage from the same seat in the 1950s. Speaking to a captive audience of roughly evenly divided people who had firm opinions about him when they walked in I wondered how many might have changed their view after hearing him talk about basic wages, unemployment, apprenticeships, housing affordability, negative gearing, aged care, and power bills, and using economic fairness to make his points. 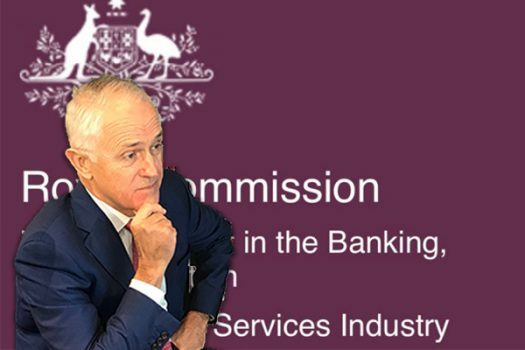 Then he turned on the Turnbull Government’s association with big business and the big banks. 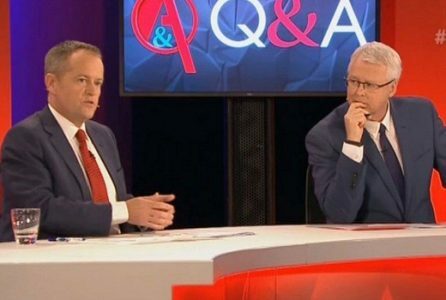 “This is more fair dinkum to me than half the rubbish we carry on with in Parliament,” he uttered as the curtain fell on a very revealing Q&A. In Australia, a similar situation is developing. 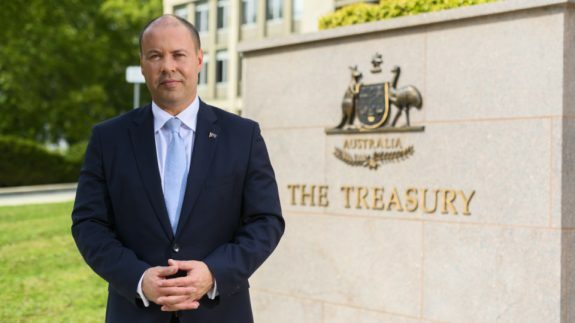 Wages growth is at an all-time low and the government seems intent on keeping them so. The problem though is that without wages growth consumers don’t have expendable income sufficient to meet consumer demand for goods and services. America has found that out. Conservatives don’t seem to comprehend that you may be able to obtain growth on the back of low wages but if the low wages prevent people from buying what you produce, you have defeated your purpose. Of course inequality is not just confined to the United States. It is truly universal. The two countries with the highest populations have chosen to improve the quality of life of their citizens with greedy economic capitalism, which is the same system that has caused inequality in the advanced economies. The advances in China, particularly over the past forty years have been spectacular. And at the same time, it is breeding billionaires like confetti. And all on the back of a low wage work force. In 50 years or so, if they continue on the same path, they will face the same problems that the west faces now. Robert Reich outlines a plan to resolve the issue which is sound in economic rationale. 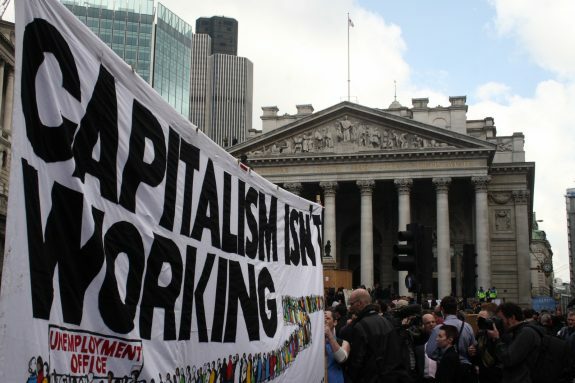 In the absence of another economic system, capitalism is what we have. The problem with it is its inherent greed and misuse. It is a system that could be moulded and shaped for good. However, the conservative forces of the right of politics seem determined to enshrine the existing hungry evil greed of unregulated capitalism on us. Revolutionised morally regulated capitalism could if legislated and controlled enable everyone an equitable opportunity for economic success. With equality of opportunity being the benchmark of all economic aspiration and legislation. 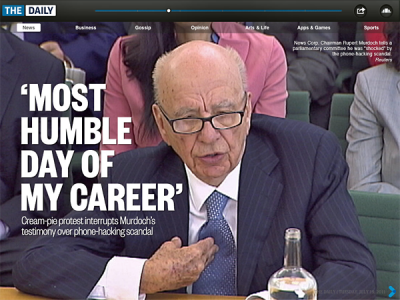 Of course, The Australian is Rupert Murdoch’s favourite broadsheet. It loses around $20 million every year but Murdoch refuses to give it a decent burial, instead, using it as a feeder publication for the likes of Jones, Bolt and Hadley and other shock jocks of dubious accountability. Shock jocks who shout the most outrageous lies and vilify people’s character with impunity and in the process do nothing to promote decent democratic illumination. The Australian online edition is full of anti-ALP headlines that at times beggar belief. 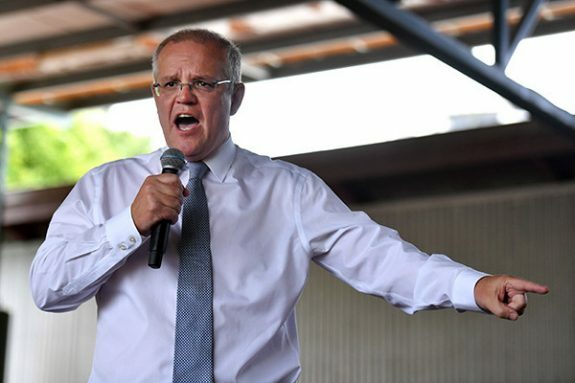 One example is their support for the Government’s massive tax cuts for the top end of town. One day recently I counted 10 headlines either supporting the government or attacking Labor. 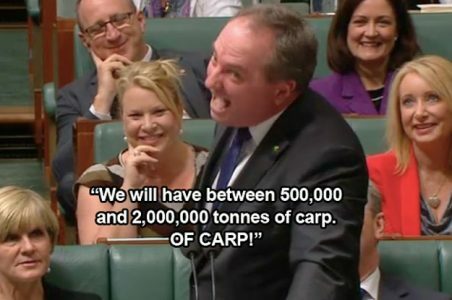 In every publication, derogatory names for the Leader of the Opposition are used more often than “stop the boats.” Because of there juvenile nature none have captured the imagination of the public. Now they are having another go with “Unbelieva-Bill.” Unbelievable isn’t it. Of course, these days Murdoch and his majority-owned newspapers; with blatant support for right-wing politics have done nothing to advance Australia as a modern enlightened democratic society. On the contrary, he has damaged it, perhaps irreparably. 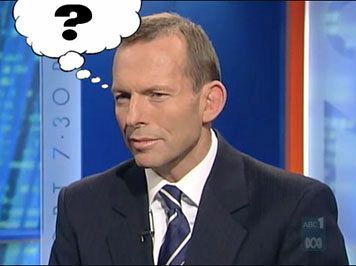 His only interest seems to be the elimination of the ABC and the superiority of right wing conservatism. Goes to Mr Denmore for his reply to Kaye Lee’s post; It takes a certain type of woman to join the Liberal Party. I’m not sure it’s about gender. 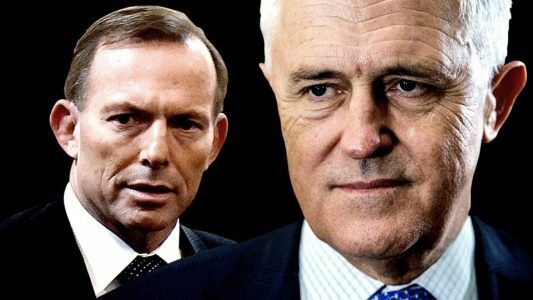 The Liberal Party has been overtaken by a nasty, greedy, vindictive ideology that attracts nasty, greedy, vindictive human beings devoid of charm or compassion. Perhaps some of the women seem particularly vile because, like women in many other walks of life, they have to exhibit the group values and attitudes more intensely than the average male politician to win acceptance and promotion. 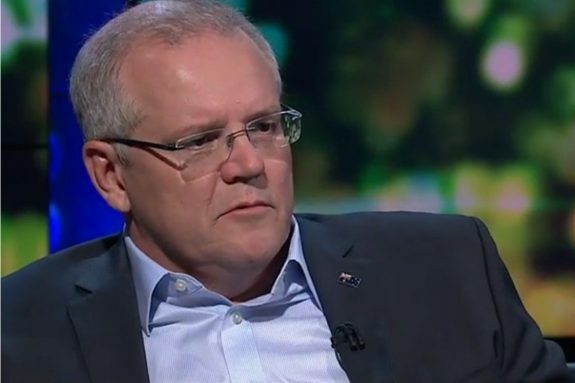 For instance, it seems pretty clear that O’Dwyer was thrown under a bus by Turnbull and Morrison to do that Insiders interview with a set of talking points that even the most astute political spinner would have struggled to sell. Cash, like Turnbull, seems to have no functioning political radar. 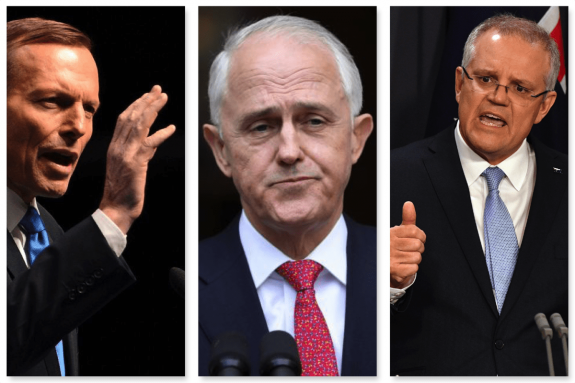 Like many in the Liberal Party caucus now, the game is all about appeasing a dying and unrepresentative base of reactionary old white men. Mirabella, on the other hand, seems to be just a rotten human being, pure and simple. The Libs weren’t always like this. Judi Moylan, who retired from parliament in 2013 and who like Cash is a West Australian, was a moderate and progressive voice in the party during the Howard years, as was Judith Troeth, a Victorian. 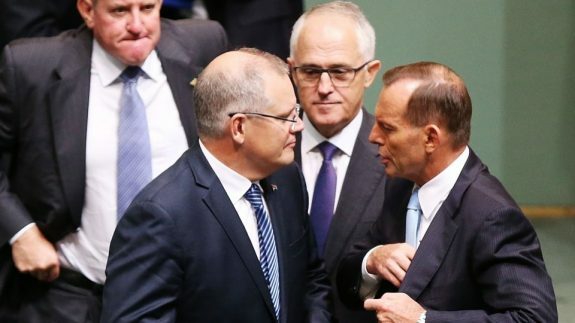 So I think the real issue is the takeover of the Liberal Party and its Coalition partner by a nasty, reactionary right-wing strain of US-style culture war politics. If you are a woman of political ambition in the Liberal Party, you are going to be tempted to exhibit the behaviours rewarded by that political tribe. When you have an inequitable distribution of the country’s wealth it is obvious that people will be divided by income if nothing else. In 2013, the then Treasurer Wayne Swan wrote an essay about the ever-increasing inequality that had invaded our society. The right-wing Murdoch press and conservative politicians immediately attacked his piece as class warfare. So what the hell is this class warfare everyone talks about? I would have thought that there was less class distinction in Australia than in most countries. At least on the surface. We do however have an attitude known as “them and us” syndrome. This phrase speaks of the wealthy who are privileged beyond conscience and then, well there’s us. Those we refer to as them have all the wealth but “us” collectively spend more than “them.” Consequently, we pay more tax. 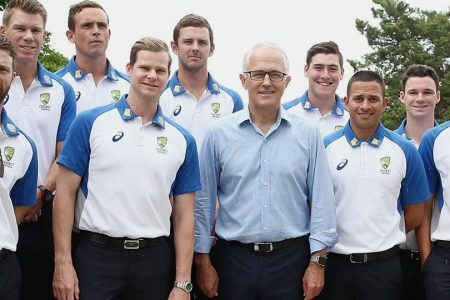 To see the Australian cricketer Cameron Bancroft looking as though he was fiddling with the crown jewels when he was actually tampering with the ball wasn’t just a bad look for Australian cricket, but also an inditement of just how much public and private morality has slipped in our country. 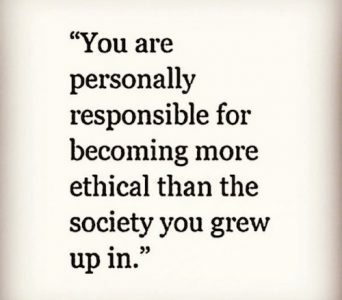 Call it ethics if you want l, or boil it down to cheating or better still, call it plain old-fashioned lying. Like rust it has now permeated itself into all facets of society. Or maybe we have just inherited another of America’s worst traits. 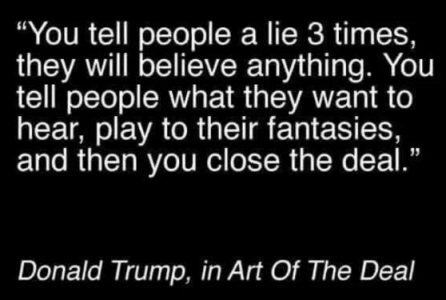 For the last 10 years or so deceit or lying in politics has reached outrageous proportions. The contempt with which politicians treat us is so perfunctory that they believe we actually believe them. Now we are not talking about little white lies … we are talking about whoppers. You know the ones that leave you breathtakingly open-mouthed for there unconscionable audacity. Now let me add that there is nothing wrong with opinions (we all have them) so long as there is a diversity of them. But the fact is we don’t have a diversity and we would be a much better society if we took the risk of thinking for ourselves unhindered by the unadulterated crap served up by a media who controls a large percentage of news in our major cities. We can also add self-interest groups and lobbyists. 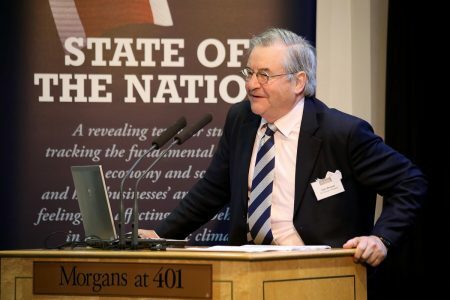 The less-informed voters unfortunately greatly outnumber the more politically aware and therefore are the obvious victims of mainstream media deception where everything is reduced to simplistic slogans. Unlike Andrew Bolt who has to write for an average age of 13 to suit the demographic of the publication he writes for, I as do the other writers for The AIMN, seem to attract people of a higher level of thinking with a greater sensitivity for the things that matter. So with all that said I hope I have explained that the origin of my writing stems from a long-held interest in social justice and inequality: of those who are deprived of a decent education, as I was, the environment and an urgent desire to repair and improve the standard of governance our politicians deliver. Since John Howard came to prominence, and in the time since, especially under Abbott, the practice of politics now repulses people. We have been so let down by leadership that you would be hard-pressed to find 10% of the population who “trust” our politicians. 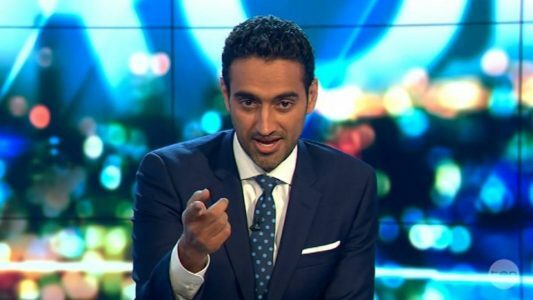 For his part Tony Abbott got slapped down after his “Immigration speech” by all and sundry: both friend and foe. Given his personal arrogance and hatred of Turnbull he will probably continue. Even his most ardent supporter Greg Sheridan got in on the act saying he was 100% wrong. I wonder where blind Freddy was? 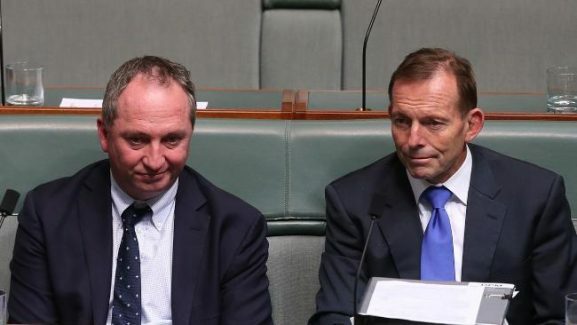 Perhaps Joyce and Abbott will form a tag team. Goodness, I’m seeing images of Barnaby in red speedos. We all have to ask ourselves this question. Why are they all doing this? It certainly isn’t for us? 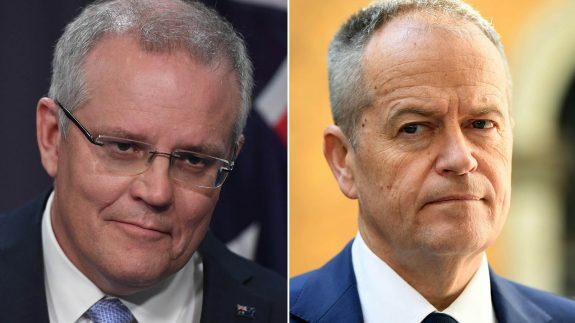 Bill Shorten can now quietly claim the scalps of a Prime Minister and a Deputy Prime Minister. But as last week,s Newspoll showed, it doesn’t seem to hurt the Coalition at all. Almost half the population think they are doing a fine job. Every decision the honourable members make will be based firstly on how best it serves his or her party. Rarely on how it serves the country and the people. 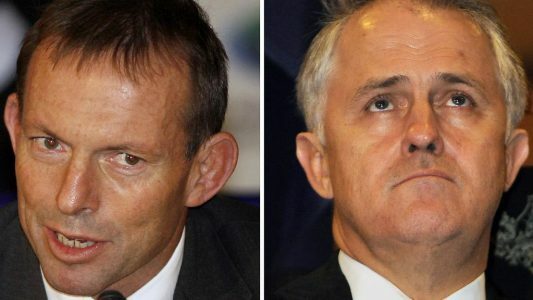 I then asked myself how the Abbott/Turnbull governments stacked up against my thinking, and I had to admit they have been deplorable. For me, the changes brought about by the advancement of science and technology have been astonishing. As a progressive, I crave change that is worthy and is advantageous for the betterment of society and the world that we inhabit. I believe that our lives should be subject to constant reflection, otherwise the way forward is locked into the constraints of today’s thoughts. You cannot change what happens. Particularly when you have no control over it. What you do have control over is the way in which you respond. Why is it, in “the name of free speech”, that we need to enshrine the right to abuse each other, in law? You would think that an enlightened progressive free thinking society would want to eliminate it not legislate it. It is not a question that requires great philosophical, ideological or even theological debate. It is a black and white question. Supposedly we live in an “age of enlightenment,” a period where the world has made enormous technological advances, but at the same time our intellects have not advanced the capacity to understand simple tolerance.Indeed, if we were truly enlightened we would treat our fellow human beings, with respect love and faithfulness. We would do unto them as we would expect them to do unto us and we would strive to do no harm. We would love life and live it with a sense of joy and wonderment. We would form our own independent opinions on the basis of our own reason and experience; and not allow ourselves to be led blindly by others. And we would Test all things; always checking our ideas against our facts, and be ready to discard even a cherished belief if it did not conform to them. We would readily admit it when we are wrong in the knowledge that humility is the basis of intellectual advancement and that it is truth that enables human progress. But for me my early journey has shaped what I believe in, the way I think about social justice and my world view. I hope you enjoy this account of my first 14 years. 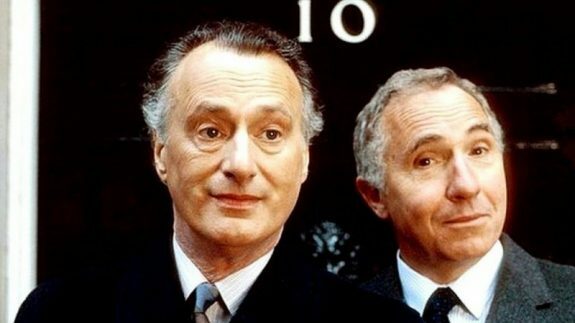 it’s hard not to see a group of people who have no idea how to govern for the country as a whole, who are purely in politics for what they are able to extract from being an MP for themselves, being able to win the next election. What a disaster it would be, if for whatever reason they were given the reins for another three years. When a party is in such disarray the need to stay in “power” becomes the overarching imperative. This gives rise to the likes of Dutton to take any short cut to maintain his and the government’s grip on power. The Coalition’s only policy has been the demonising of those who are not white, Anglo-Saxon, and Christian. So Dutton and others see no reason to deliver good government so close to an election. They see the rhetoric of blame as a “winning formula”. 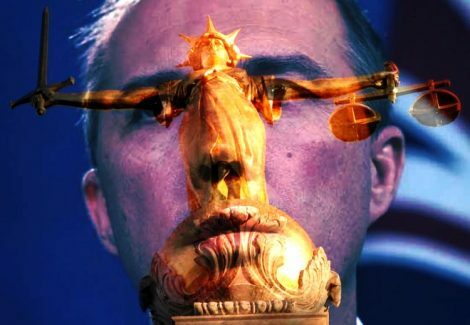 But today, Mr Dutton stepped up the rhetoric against the judiciary, blaming “soft sentences” on the appointment of civil libertarians as magistrates, and labelling one Supreme Court judge a “left-wing ideologue”. The judge in question, Lex Lazarus is one of Victoria’s most respected jurists and Dutton would know that by convention he is unable to reply. And the “who” they want to be’ politician during times of poor leadership is a most dangerous animal because the likes of Turnbull have no power to stand up to them. 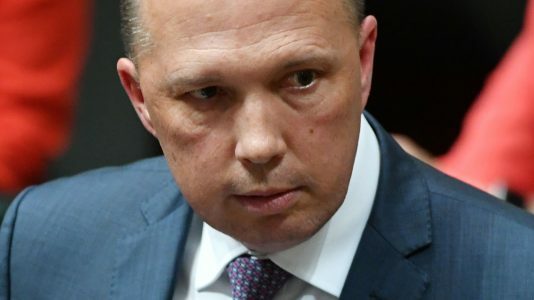 So Dutton will keep up with his sarcasm (except for when he sleeps) and other offensive expressions calculated to raise racial hatred and break down society. We can only conclude that Dutton is not in it to help create a better society with a better future for all. He has been a failure at his two other Ministries and compassion has eluded him thus far in this one. 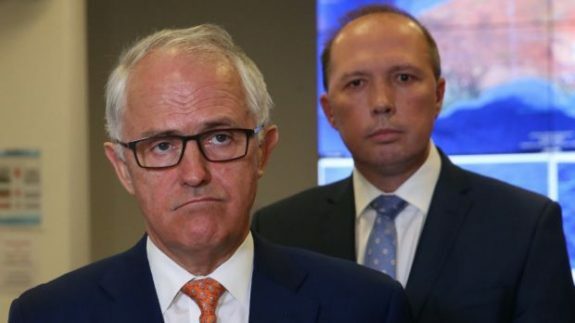 I can only conclude that the Liberal Party when it comes to the immigration portfolio believes that it needs a mongrel in charge, so Dutton was an easy choice. The new Minister for Anything approaching evil insists that “people are to scared to go out to restaurants of a night-time because they are followed home by these gangs”. When asked to provide factual evidence of this the former copper from Queensland could not. No one is surprised for it is a method of demonising people that he has used for some time now. Is it effective? Well, he must think it is because he takes every opportunity to use this malevolent methodology of scaring people at every opportunity. He is the sort of bloke I would never like to meet up a dark ally on a bleak cold winters night. In short I have posted a summary of the qualities of some of our cabinet members. Surely the Liberal and Country Party can come up with better people than these. As I write I reflect on the year 2017. I can only conclude that it is another wasted in the advancement of our nation. I try to think of things positive that I might share but I cannot. I stop, hesitate, because marriage equality must surely go down as a magnificent victory for the people. I can’t even count how many pieces I wrote on the subject. Yes, it was a victory for the people, we did it in spite of the politicians not doing what they were elected to do. We showed what we are capable of doing when we turn our collective attention to the common good. 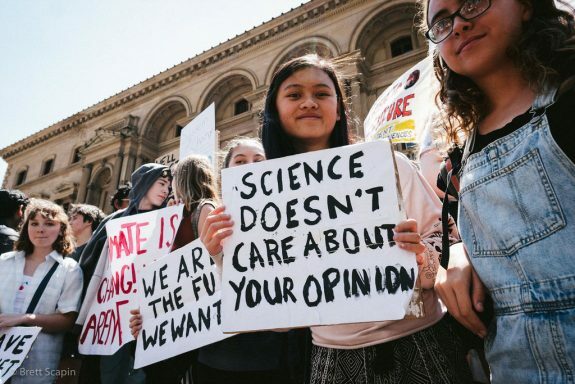 If I do not support the 95% of scientists, every major scientific institution and the research that is constantly peer evaluated I am obliged to accept the alternative. That is that I should take seriously the likes of Andrew Bolt (a journalist), Alan Jones (I’m not sure how you would describe his contribution to society), Lord Monckton (a discredited something who was once a lobbyist for the tobacco companies), Nick Minchin and Tony Abbott (both politicians). In fact, Minchin is on the record as saying that climate change is a left-wing conspiracy to replace communism. None of the aforementioned people has a background or expertise in climate science.